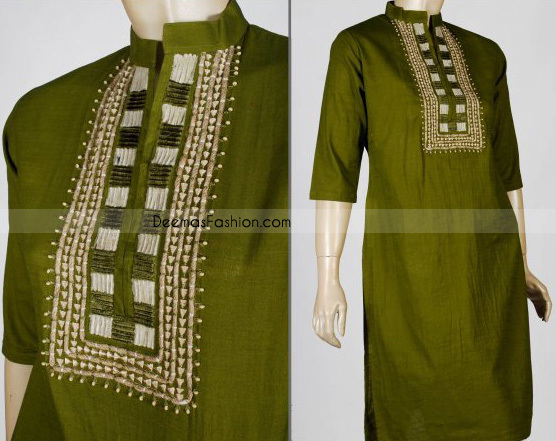 Tags: Casual, Daily Wear, Mehndi Green, Raw Silk, Shirt, Straight Trouser. 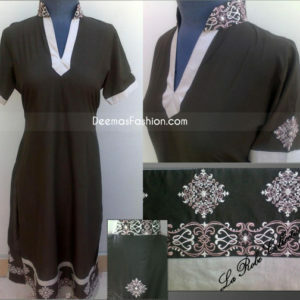 Top: Green raw silk shirt adorned with ravishing embellishments of threads on neckline. Chinese collar. Fully lined. Concealed zip closure on back.